pincushion.com News Come Tour Our School! We are hosting an Open House on Saturday, March 30th from 9:30-11:00am. 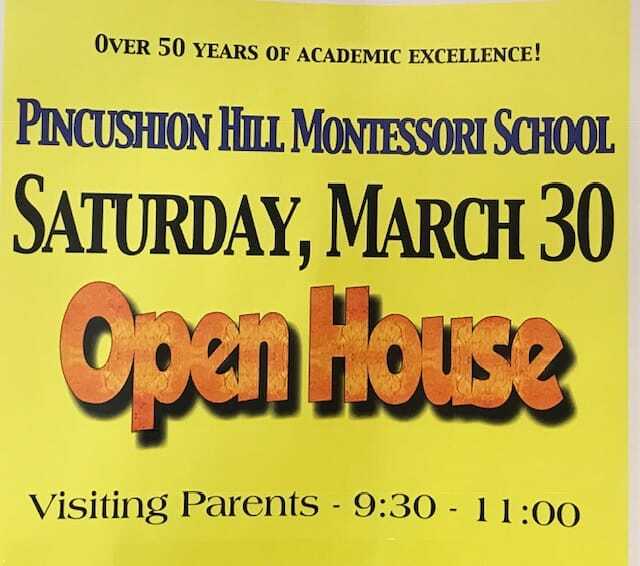 Please come for a tour of the classrooms and gardens, and to meet the teachers and learn more about what a Pincushion Hill Montessori School education has to offer! Previous article 2019 Summer Discovery Program Enrollment Open!